It would have been great to rest a bit after something as big and fun as last month’s Worldcon76. It is also almost always great to do things. With Halloween on it’s way, I chose to do things. 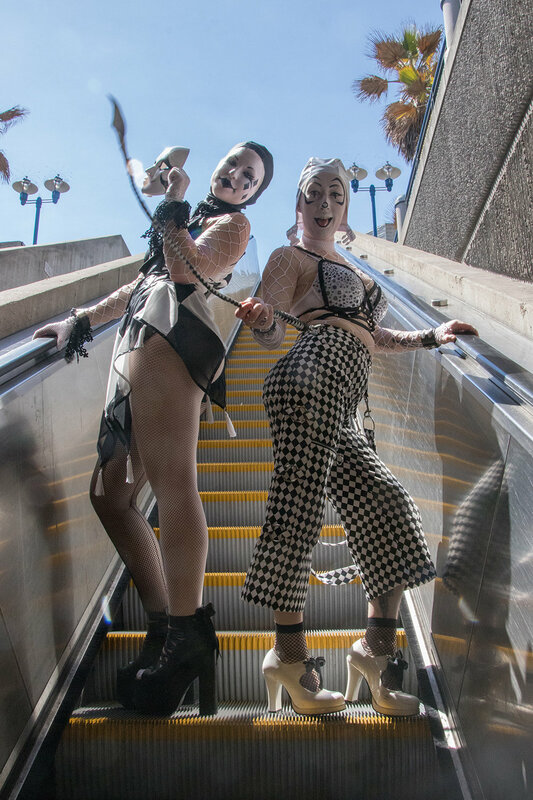 : ) So, in addition to writing and editing as per usual, I had a huge amount of fun photographing the costume creators, audacious models, and good friends Chanterelle Grover and Shelby Pujol. Their typically superb, unique and evocative outfits marked our fourth shoot this year. I’m planning to make a book from all of these ventures, including an exploration of the creative processes that went into bringing these images to life. It would be technically nonfiction, but the art itself as shown by their costumes is fantastic and therefore fantasy. One of the biggest rewards for this batch of artistic effort was just the big-eyed wonder on little ones’ faces, and the wide smiles on the faces of older ladies. Compliments abounded for Shelby and Chanterelle, as they should. I’m very glad to be working on the sequel to “Two-Fisted Jesus Tales, Book 1“. It’s titled “Doublecrossed” : ) I had originally planned these satirical adventure tales as a trilogy, or a trinity if you will; but now I think publishing it in two parts works perfectly. The first draft for the whole series was done in one continuous 3-month stint. Then I split off “Book 1” to bash it further into shape. It’s interesting to return to the next set of first-draft words, preserved fresh like salmon splashing in a flash-frozen river. If I can keep to the schedule I’ve set for myself, I’ll have an alpha version ready by the end of this very October. At which point Halloween and National Novel Writing Month both happen, and all bets are off. 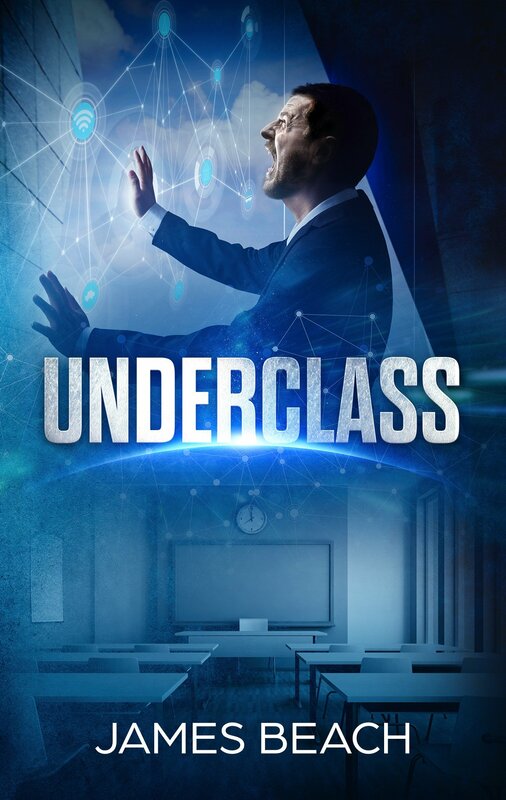 I’m also putting the finishing touches to “Underclass” – a tale of an Artificial Intelligence solution to income inequality, and it’s aftermath. This will be ready to hit ebook e-shelves by the end of November. Want to read it for free, and before it’s released? Just let your eyes continue their journey to the next paragraph. Want to join a team of elite ARC professionals? For those who may not know, ARC stands for “Advance Reader Copy”. It also means I’ll send you a free Kindle copy of my next novella. Once you’ve read it, it would be fantastic if you’d post an honest review on Amazon within a month and send me a link to your review. Limited spots on this elite force are available. First come, first served. This month some of my tales are served with many authors in a ghoulish smorgasboard. All for the very reasonable price of free, with additional free virtual pumpkin spice. I mean, it might look like blood in some light. But that’s red pumpkin spice those ebooks are covered in, I swear. 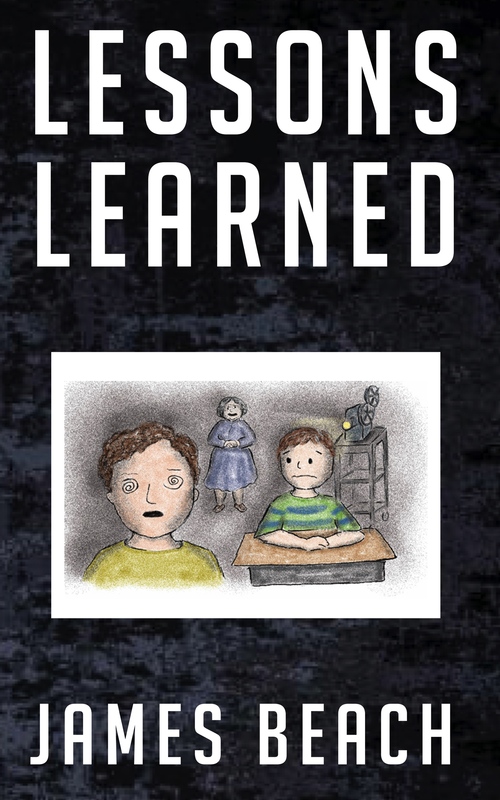 My short novel “Lessons Learned” is part of the above Halloween Spooktacular Giveaway – a dangerous treat of chilling tales just in time for Halloween. It’s about a child who wakes up with an alien attempting to take over his mind. Perhaps he could hold it at bay and defeat it – if he didn’t have to go to school, in the society they’ve already taken over. 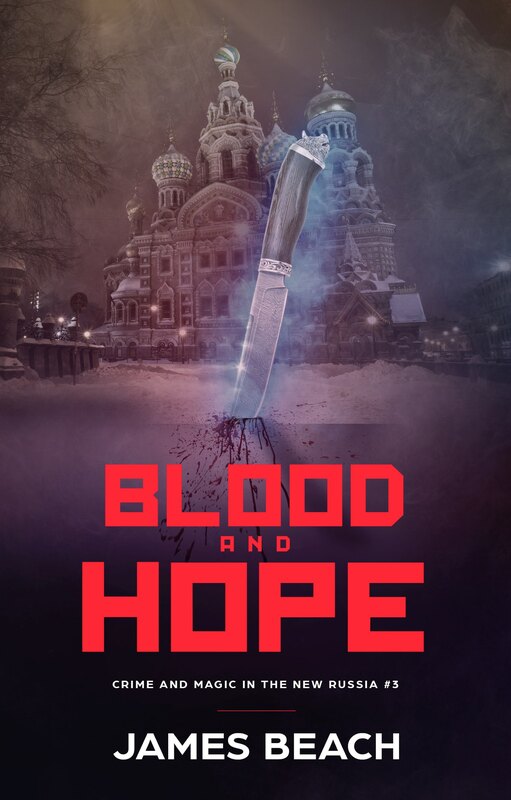 I’m also proud to have my recently completed supernatural thriller “Blood and Hope” in the Short and Awesome book giveaway. Many other author’s quick reads with strong impacts are also available. And new for me, I had just decided to start working with Instrafreebie – and then they changed their name to “Prolific Works”. : ) They have many fine books to offer, by any name. 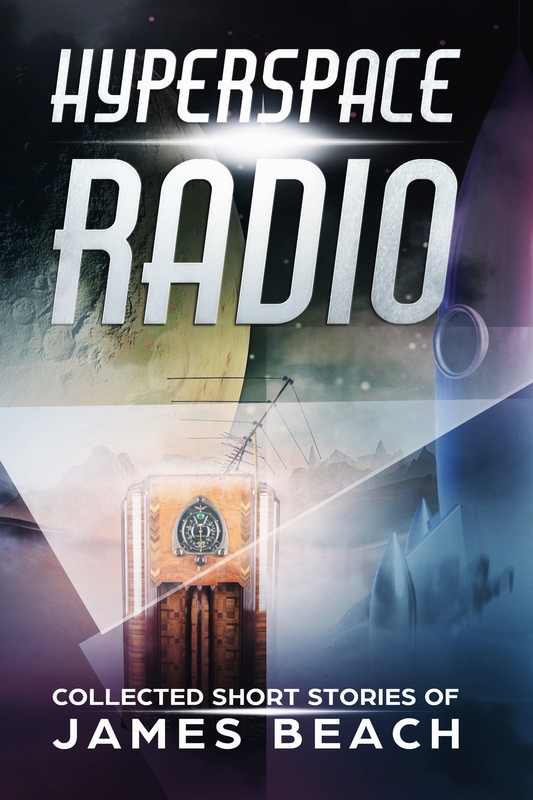 I’ve just put my short story collection Hyperspace Radio into their Ex Machina SF Giveaway. 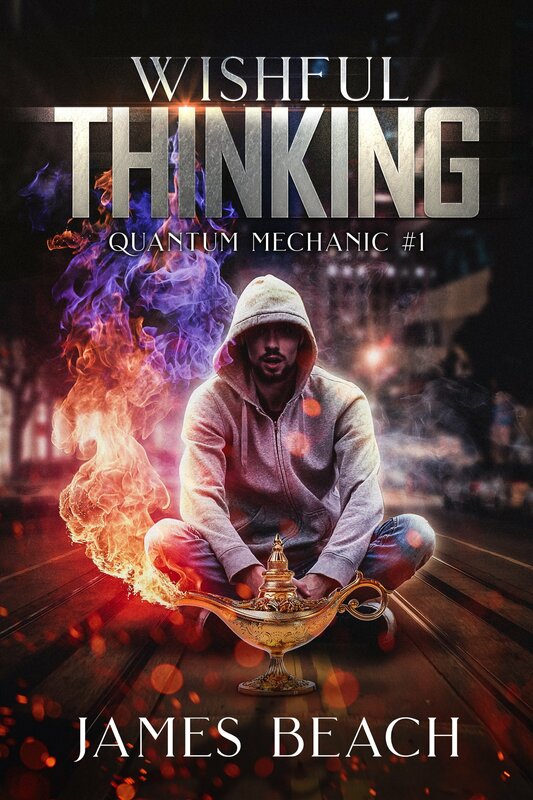 Also newly available for via Prolific Work’s Discover the Magicgiveaway: my novella Wishful Thinking. This is the first in another episodic novella series, on a troubleshooter for magical startups in San Francisco. If you enjoy one of my tales from the above offerings, please do leave a review on Amazon via the handy linked book titles. Some further thoughts on writing, some further writing, and some photography too. It’s all great and beautiful, and my privilege to share any bit of it with all of you. Copyright © 2019 jimbeach.net. Book Landing Page By Rara Theme. Powered by WordPress.